When you need sheet metal services in Port Moody, you can rely on the Rocky Point Heating and Air Conditioning team! Our sheet metal team have over 20 years of experience. We can work on your residential, commercial or light industrial designs and coordinate with other on-site teams to make sure everything happens smoothly. You’ll appreciate how our experience allows us to get your sheet metal work done faster and at a lower cost as they move your project along smoothly. Our sheet metal workers have the ability to easily visualize your designs and will offer troubleshooting to help avoid potential issues. They can execute any blueprint and have the tools, knowledge, and experience to get the job done right whether it’s a simple, quick job or a complicated job on a big work site. 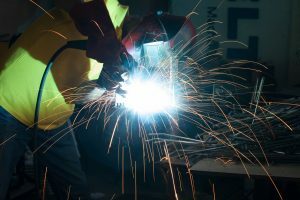 We can also manage sheet metal work crews to help guide the project through to completion, taking the load off of your shoulders and allowing you to focus on other tasks. We always put our customers first, and that’s why so many of them return to our team for all of their sheet metal fabrication needs. Looking for an experienced, professional and friendly sheet metal team for your project? Get in touch with Rocky Point Heating & Air Conditioning today! We’ll give you a free estimate on your sheet metal needs and show you how affordable the right team can be for your next project. Call us today. ©2019 Rocky Point Heating and Air Conditioning - All rights reserved.